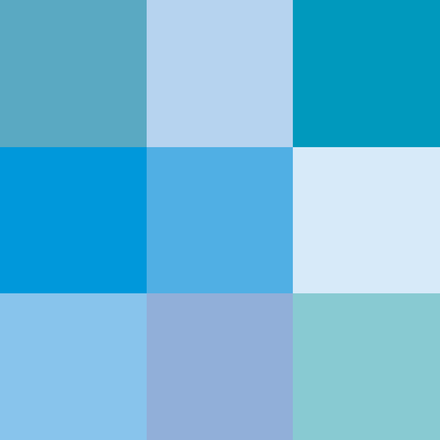 Sky blue is the name of a colour that resembles the colour of the sky at noon. The entry for "sky-blue" in Murray's New English Dictionary (1919) reports a first sighting of the term in the article on "silver" in Ephraim Chambers's Cyclopaedia of 1728. However, many writers had used the term "sky blue" to name a colour before Chambers. For example, we find "sky blue" in A Collection of Voyages and Travels (London: Awnsham and John Churchill, 1704), vol. 2, p. 322, where John Nieuhoff describes certain flowers: "they are of a lovely sky blue colour, and yellow in the middle"